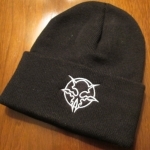 Shipping is free on all packages shipped to the US. 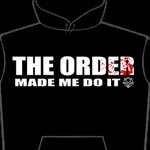 Additional shipping charge for international orders. 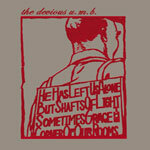 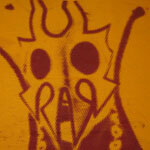 All of our t-shirts are screen printed by 100% independent xLVACx. 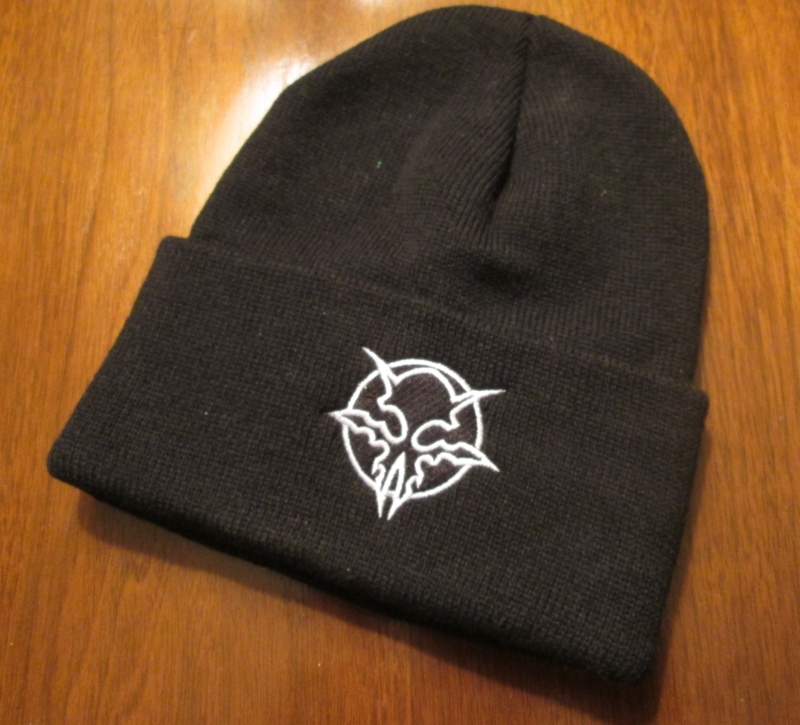 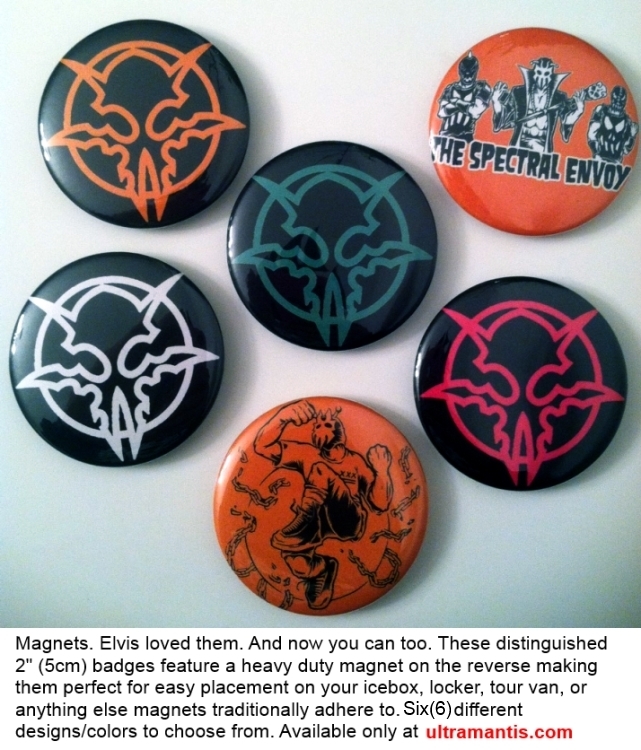 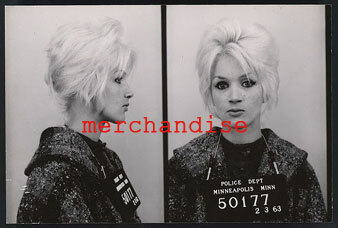 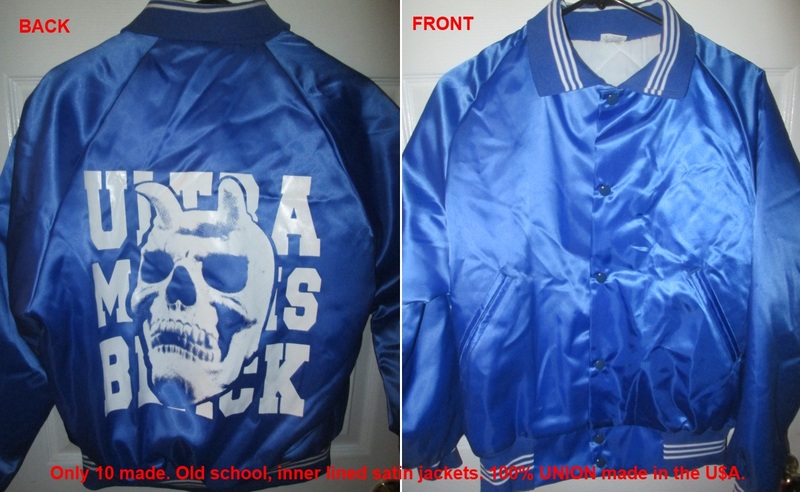 Click on an image to see an item in detail. 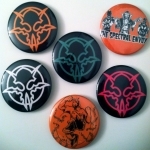 "No Man's Slave" Enamel Pin Pressing of 100. 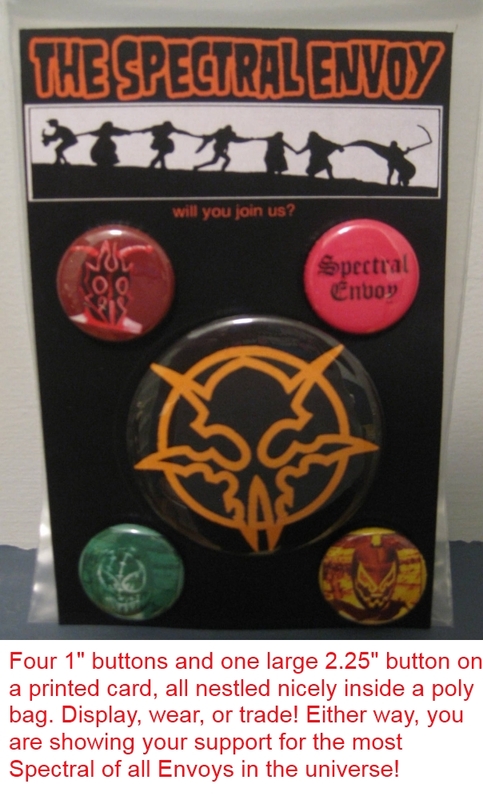 1.5" die struck multi-color enamel pin with rubber clutch back. 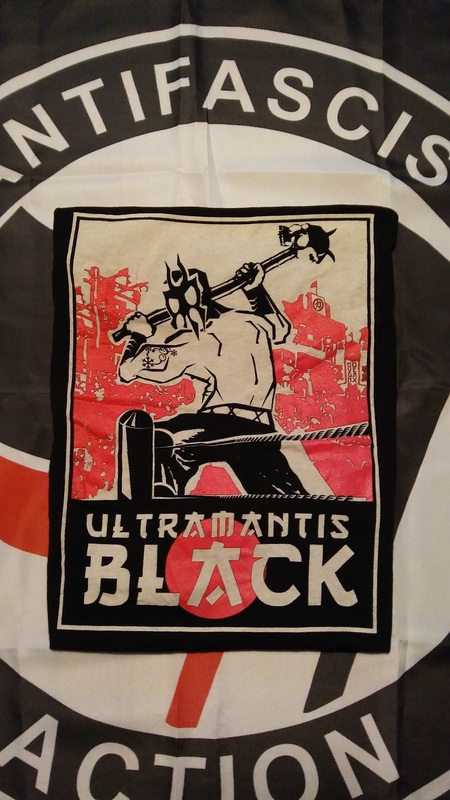 On hand screened backer card. 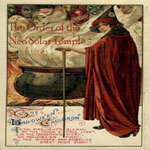 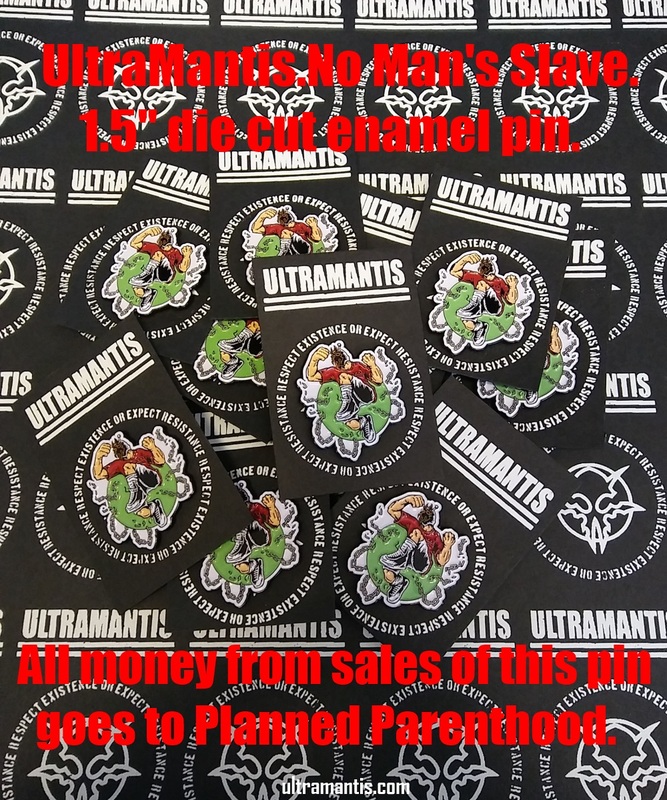 Benefits Planned Parenthood. 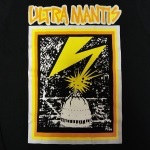 "Banned in DC" T-Shirt Final pressing of 100 - Silver, orange, white, and lemon yellow ink on black tee. 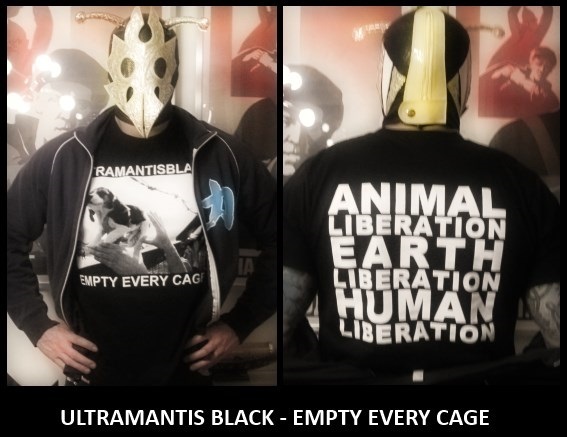 "Empty Every Cage" T-Shirt 5th pressing of 100 - white ink on black shirt DOUBLE-SIDED! 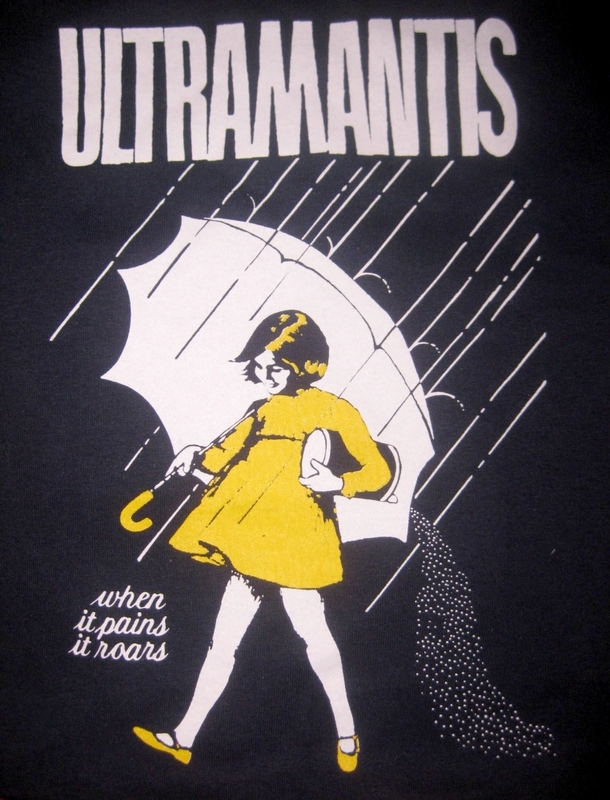 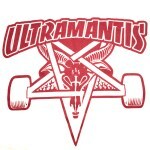 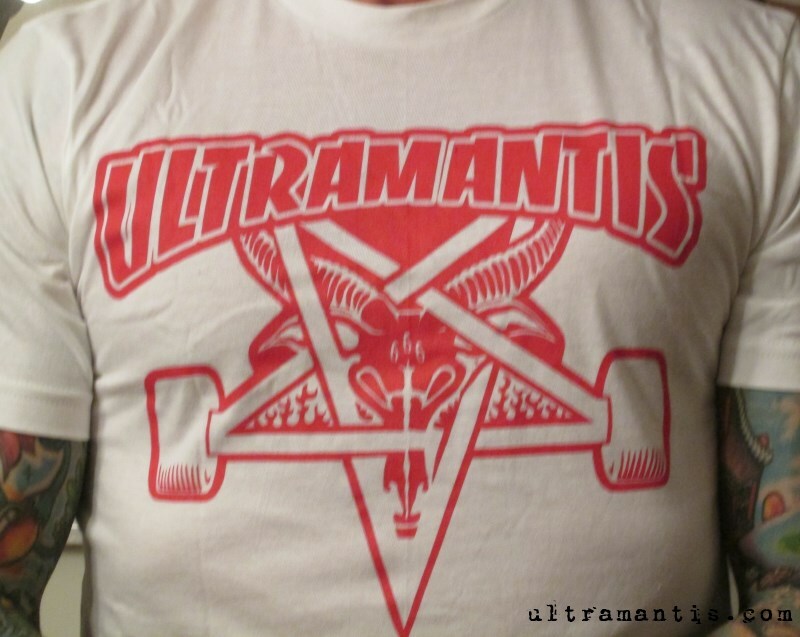 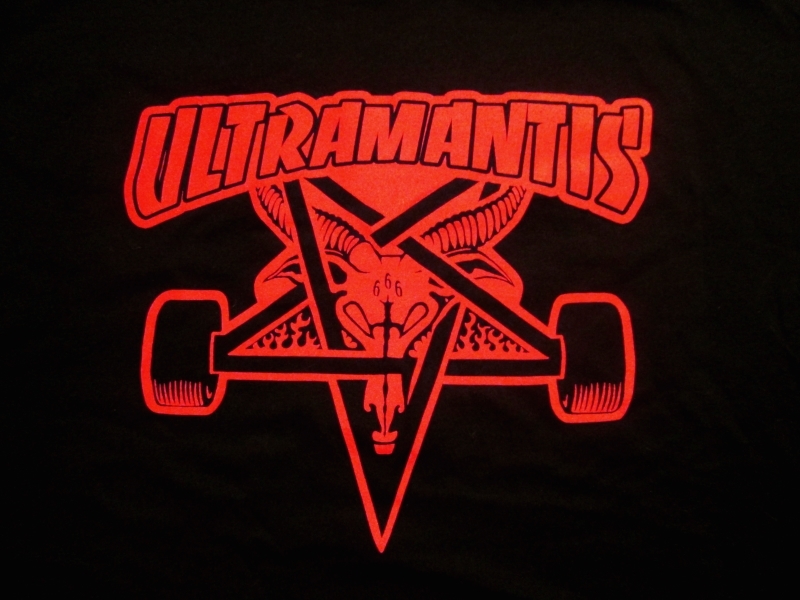 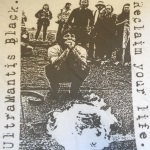 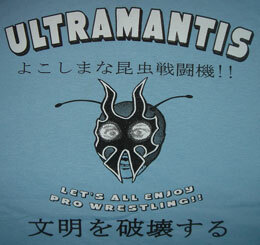 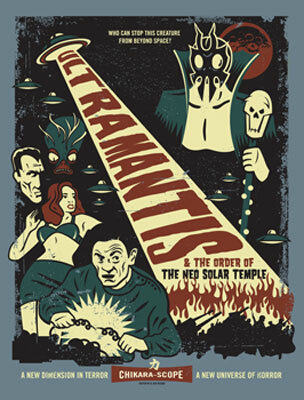 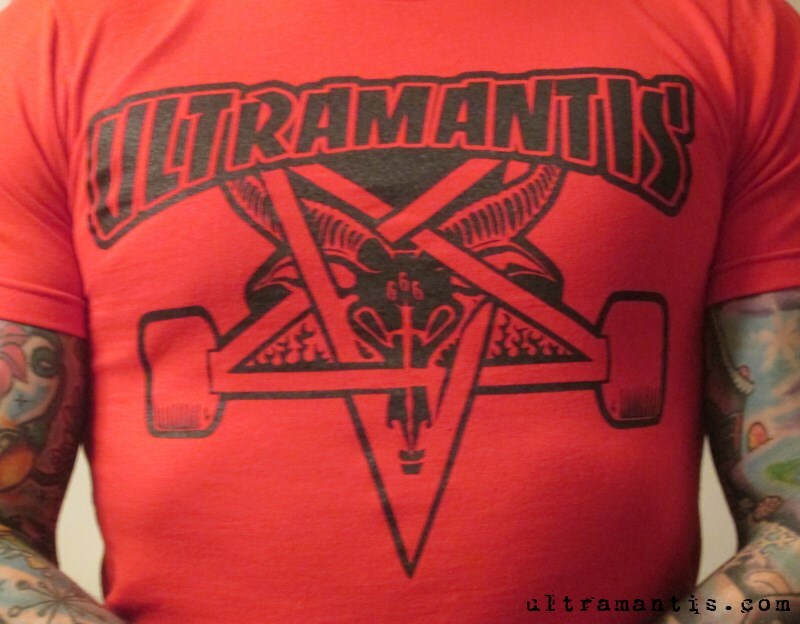 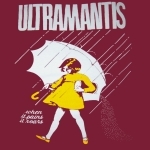 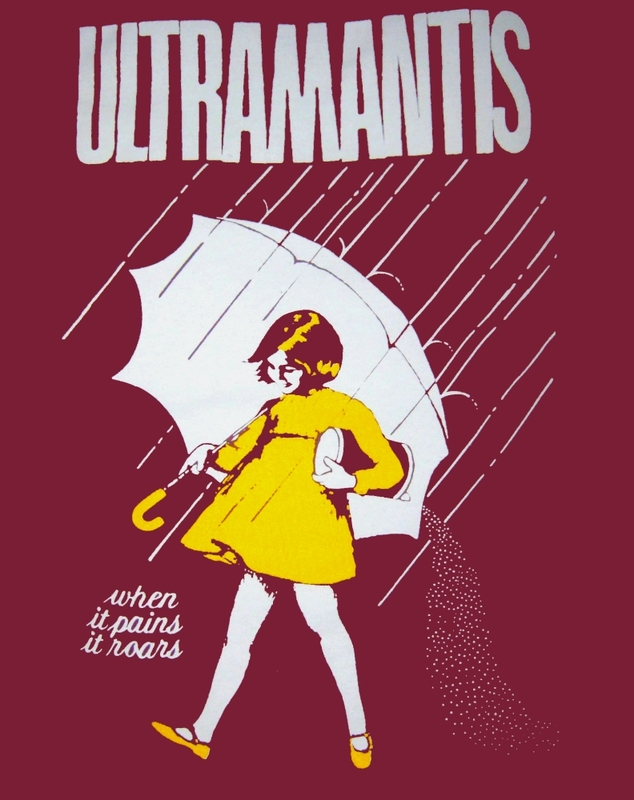 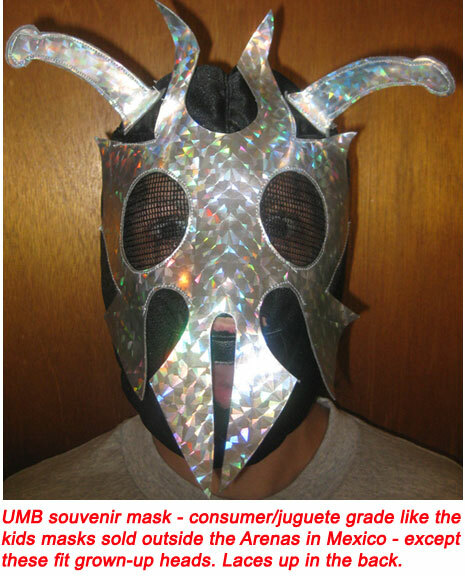 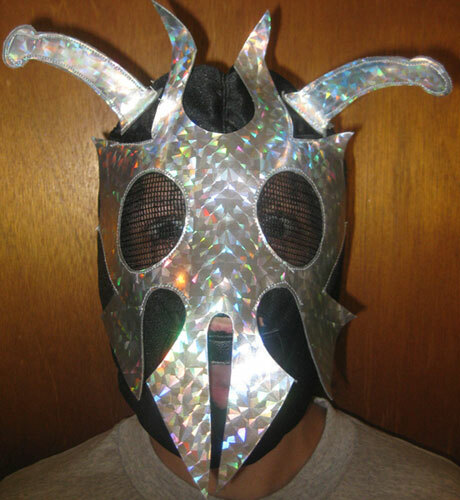 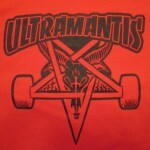 066 UltraMantis "Reclaim Your Life" T-Shirt 1st pressing of 200. 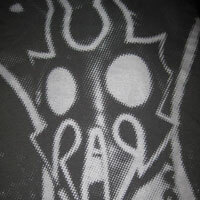 Seething grey on empty white. 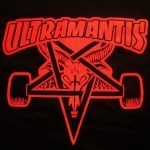 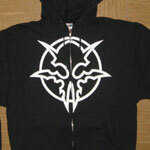 065 UltraMantis "Eternal Youth Crew" Satin Jacket 1st pressing of 10. 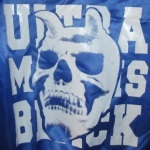 White on majestic blue. 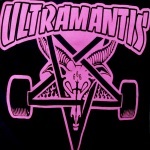 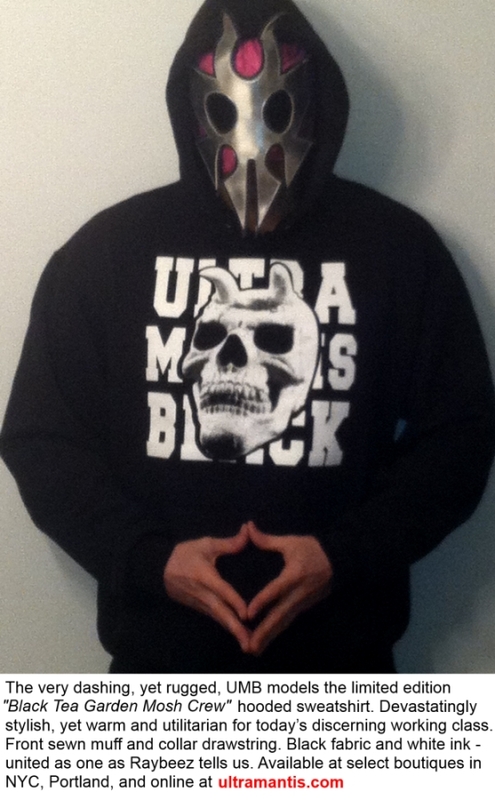 064 UltraMantis "Possessed to ProWres" T-Shirt PINK 4th pressing of 100. 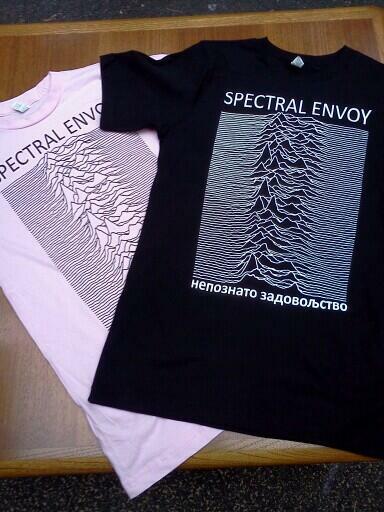 Black on powder pink. 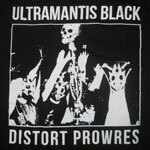 063 UltraMantis "Possessed to ProWres" T-Shirt BLACK & HOT PINK 3rd pressing of 100. 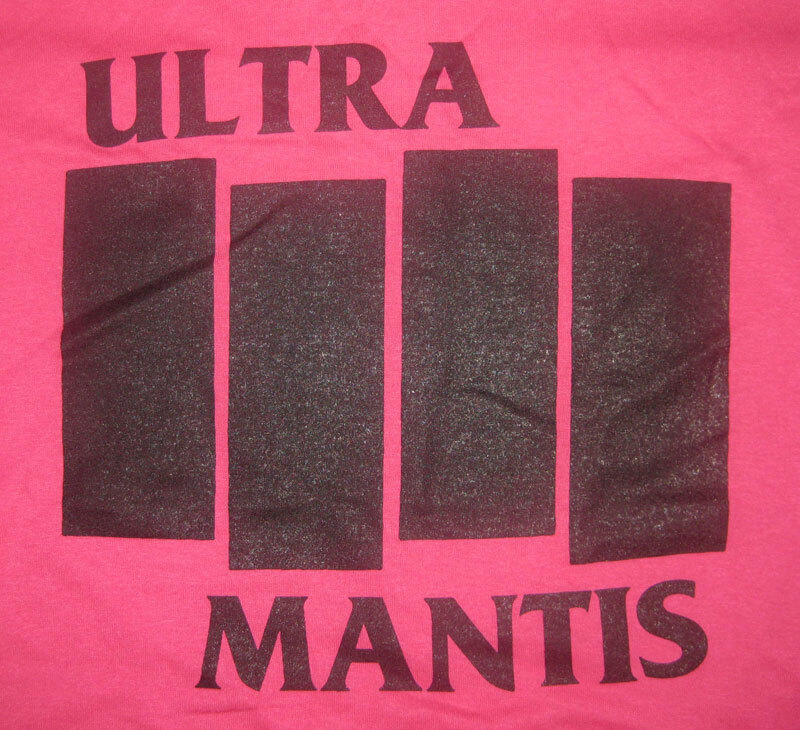 Hot pink on black. 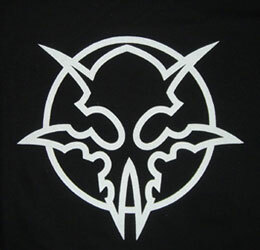 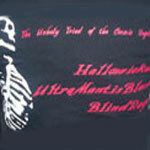 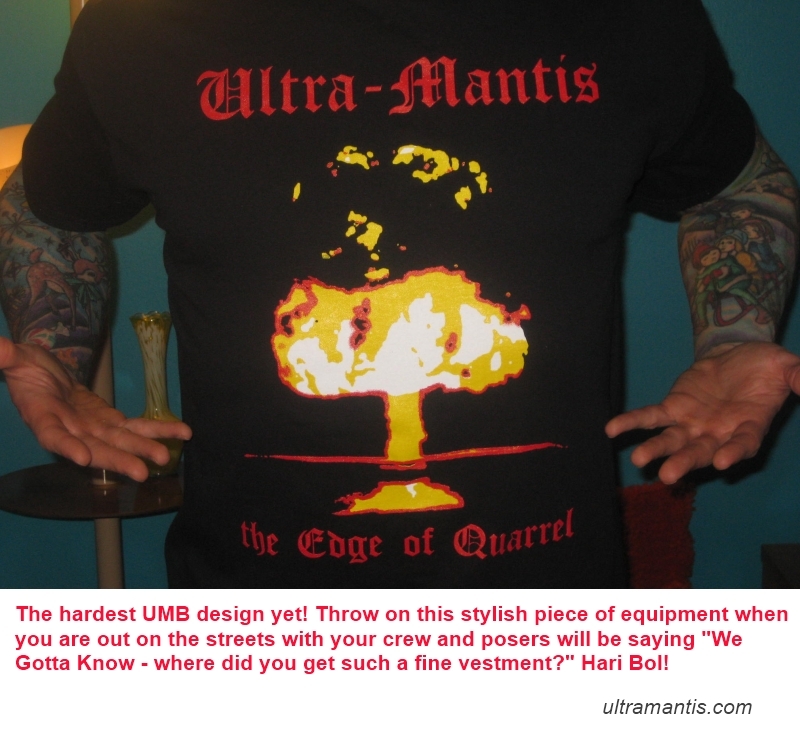 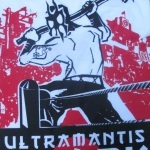 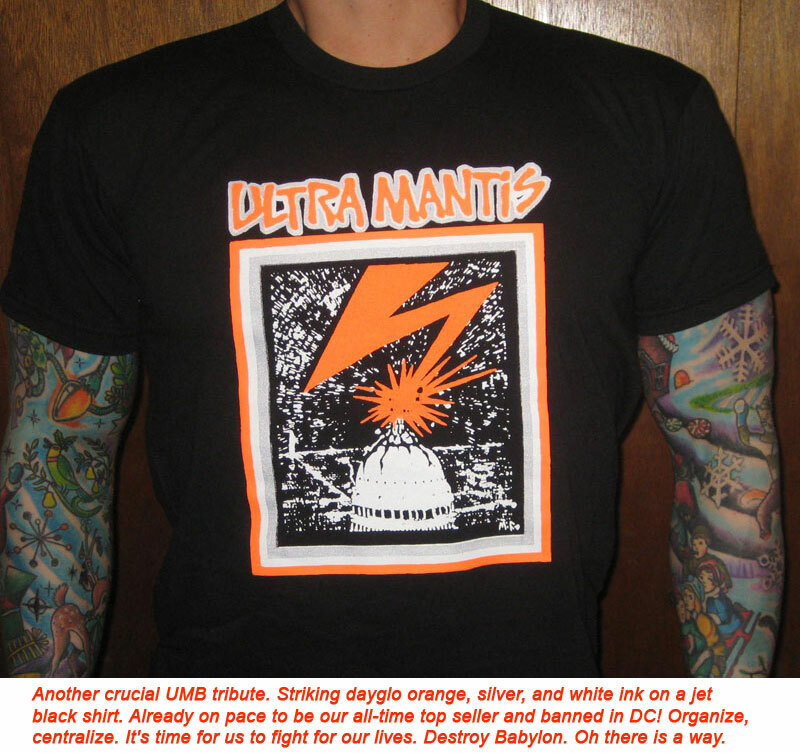 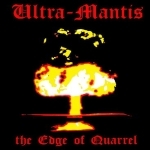 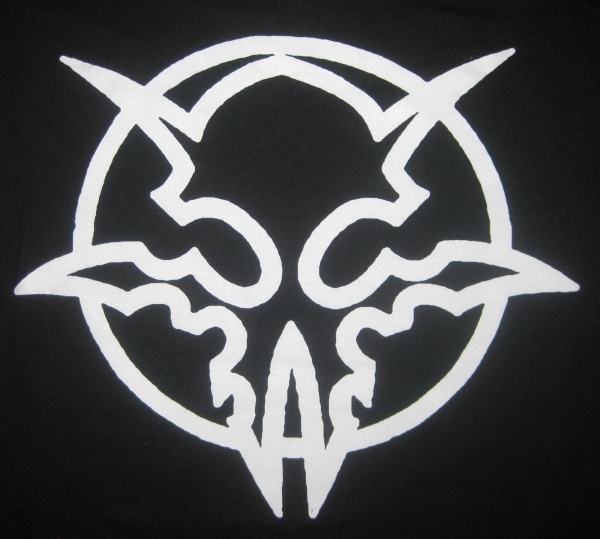 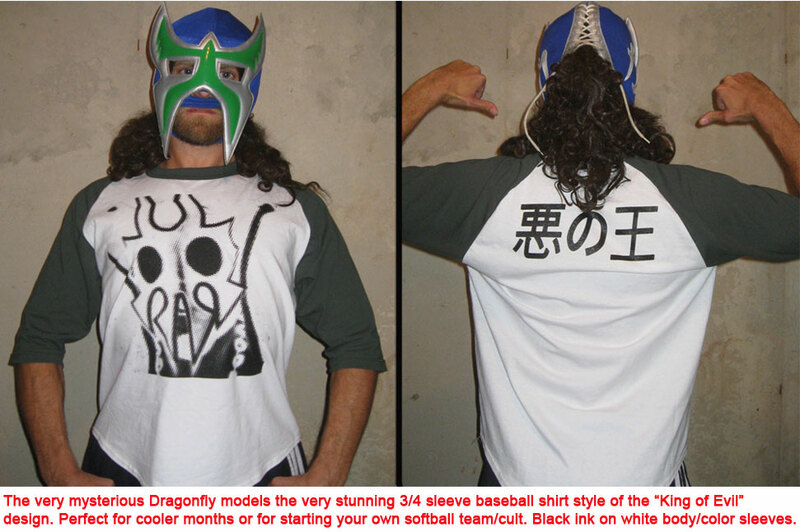 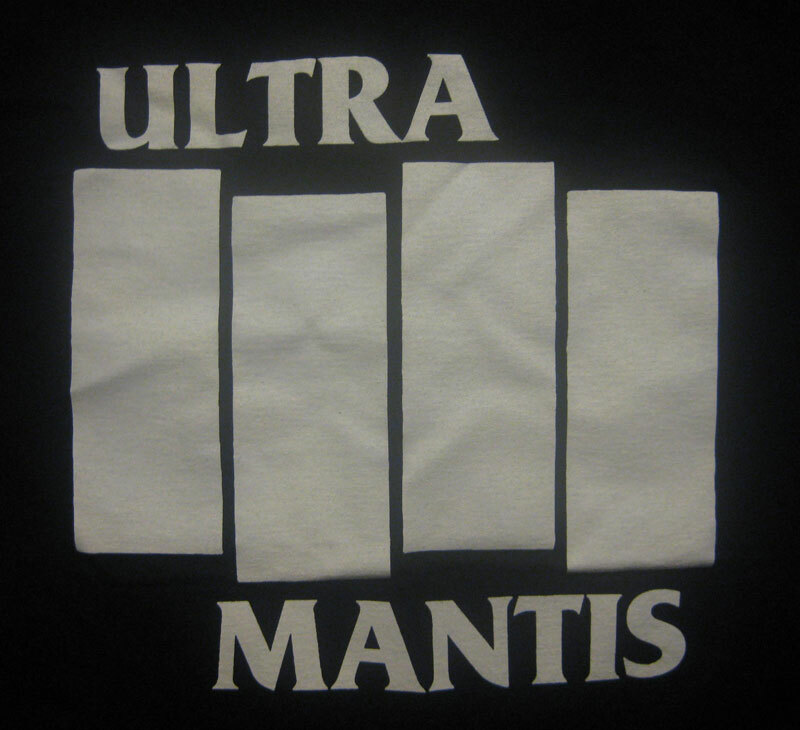 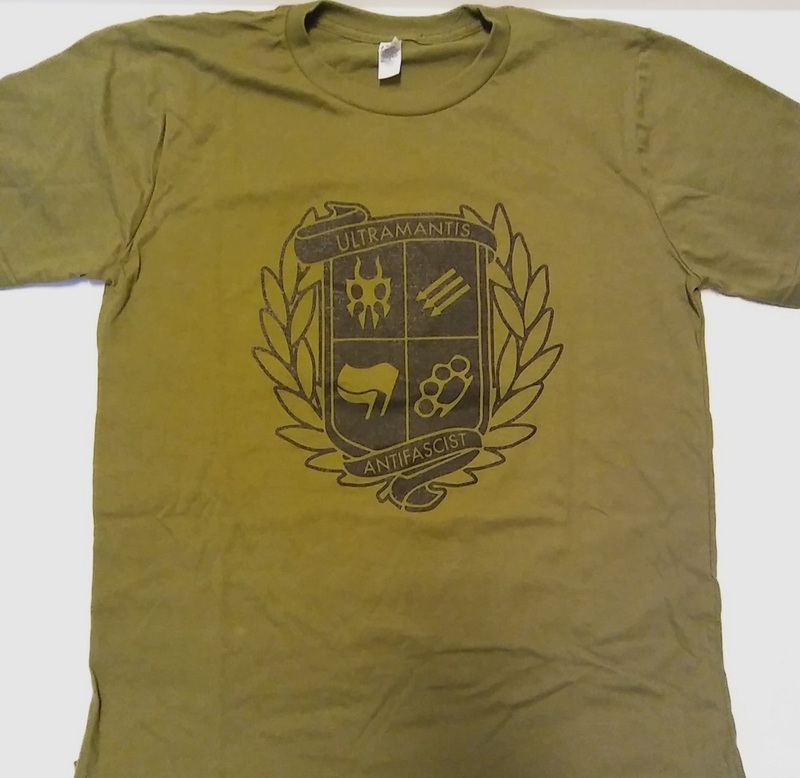 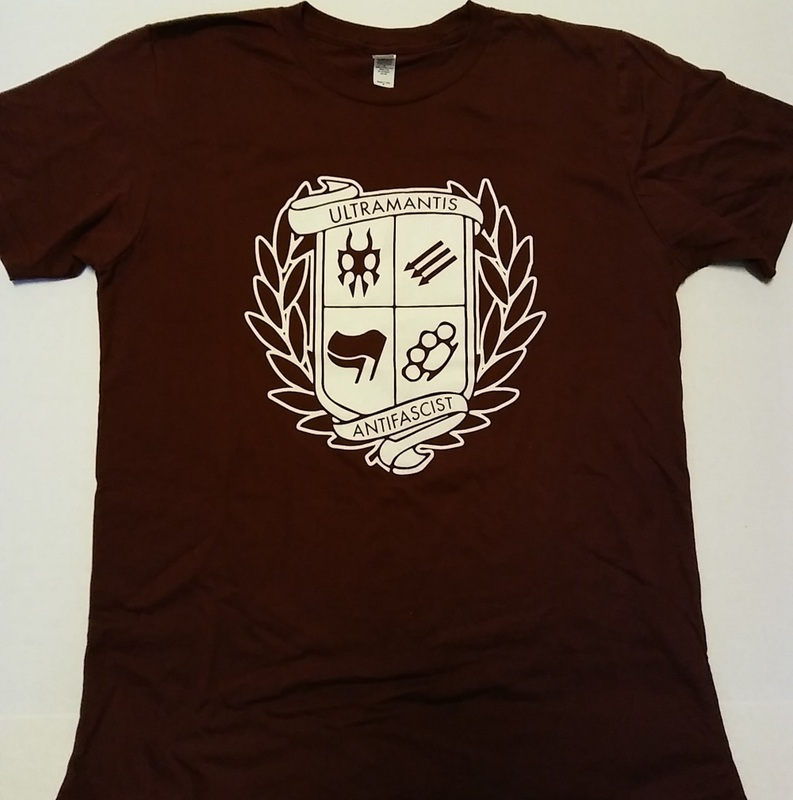 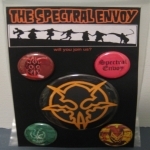 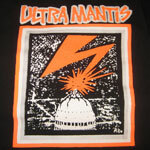 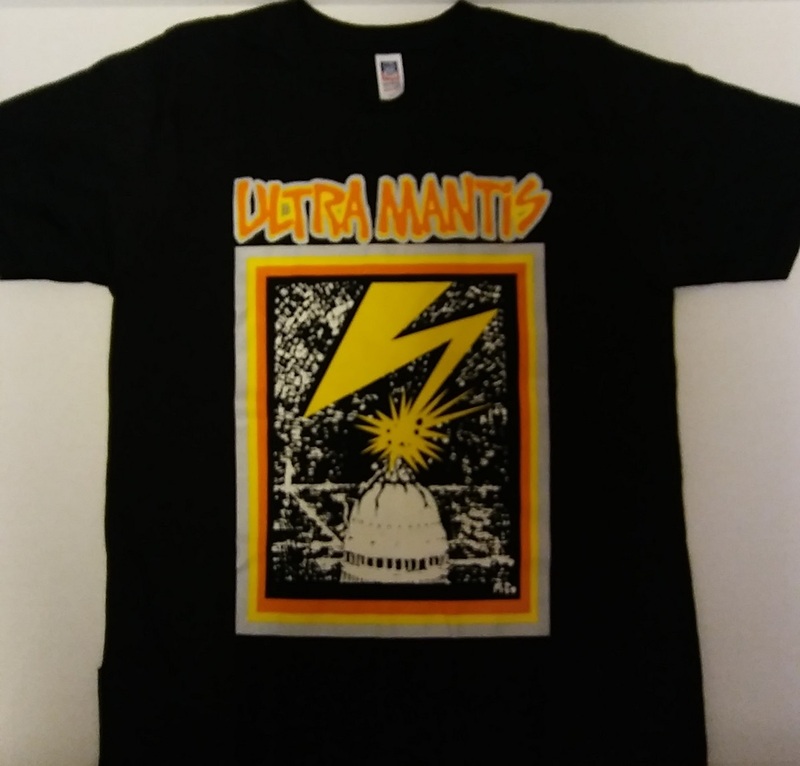 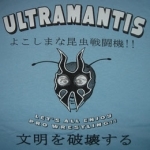 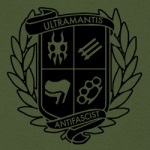 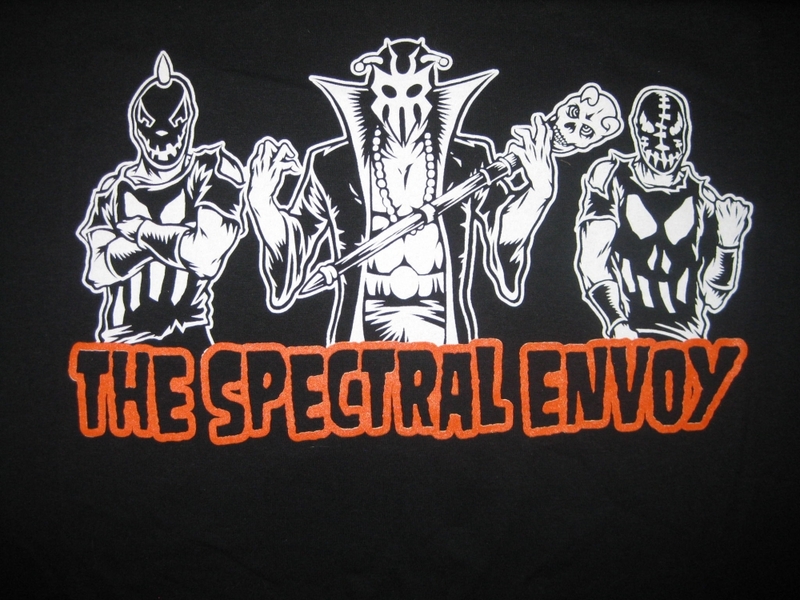 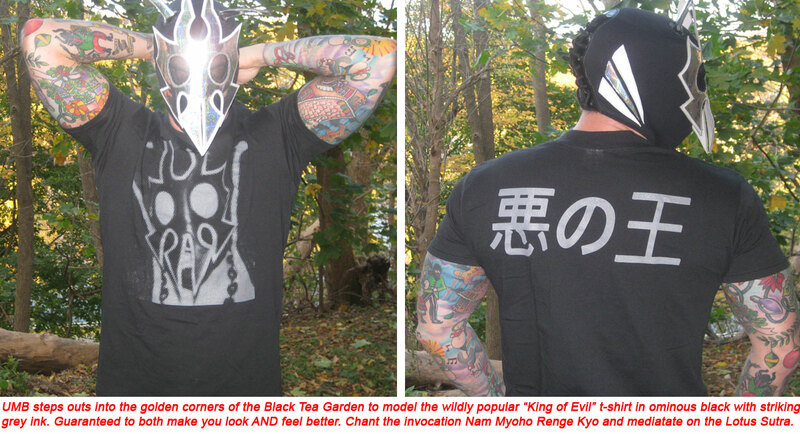 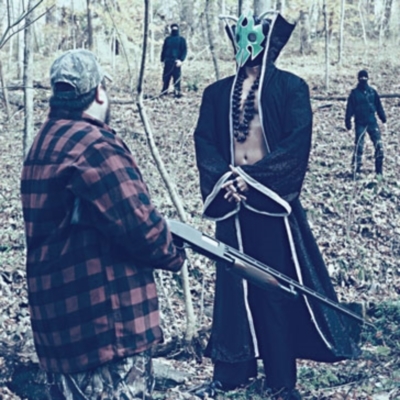 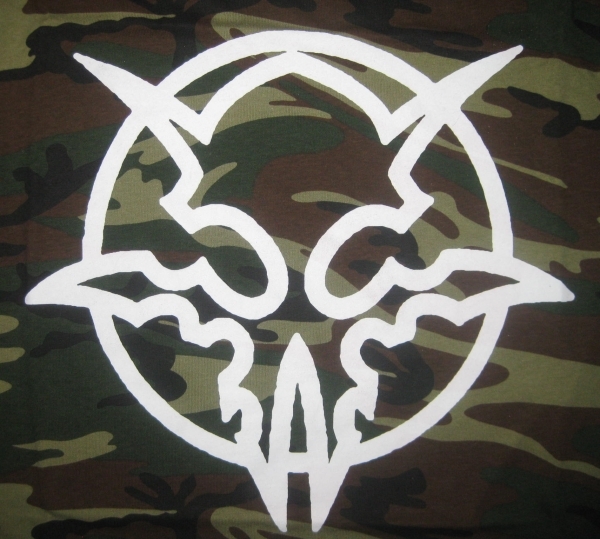 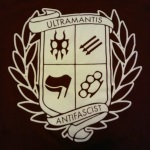 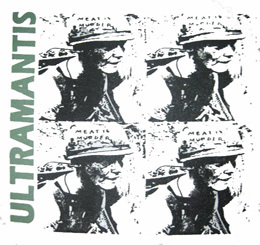 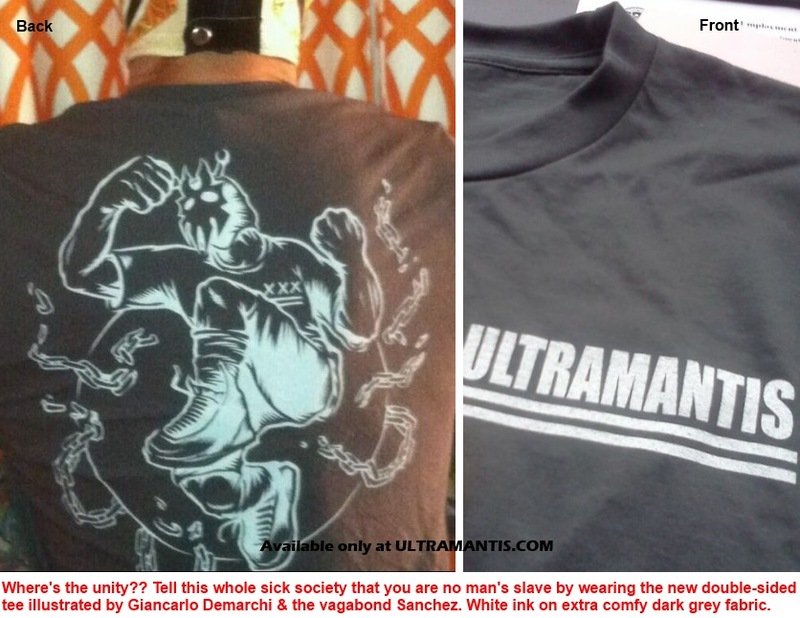 062 UltraMantis "Myth of Freedom" T-Shirt 2nd pressing of 100. Red + black on white. 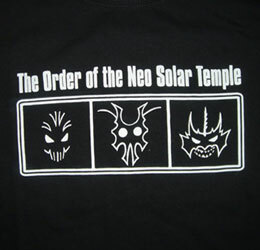 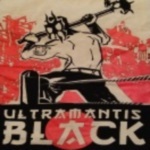 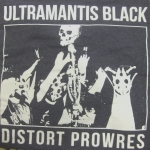 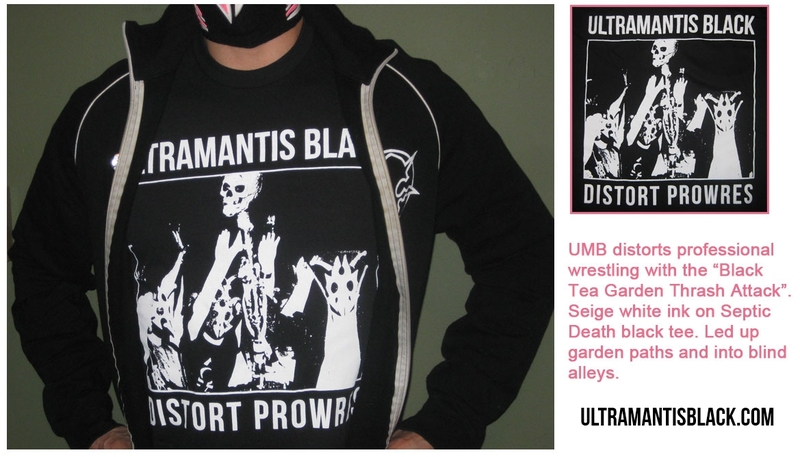 061 UltraMantis Black "Total Liberation" T-Shirt 3nd pressing of 100. 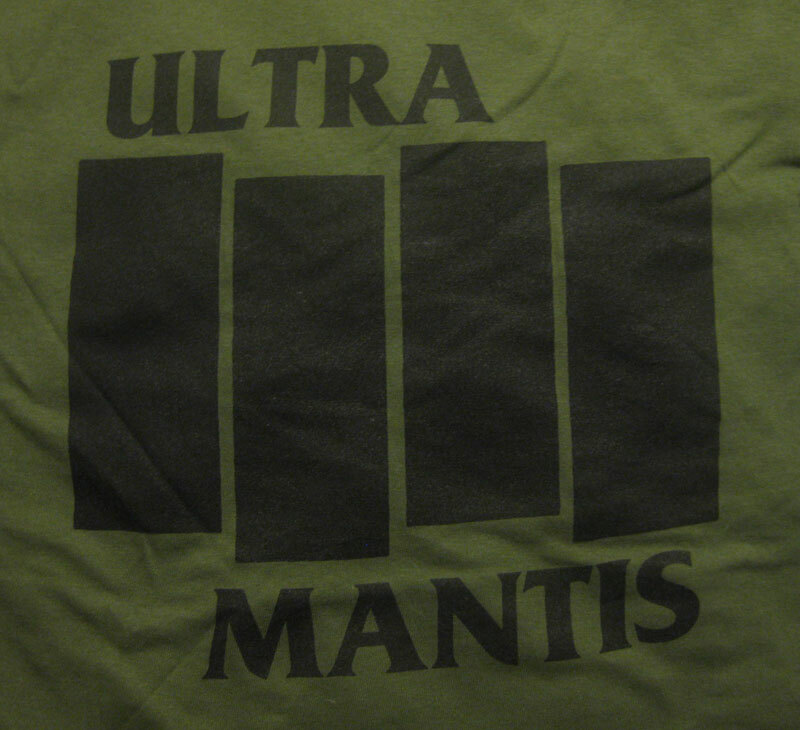 Green on black. 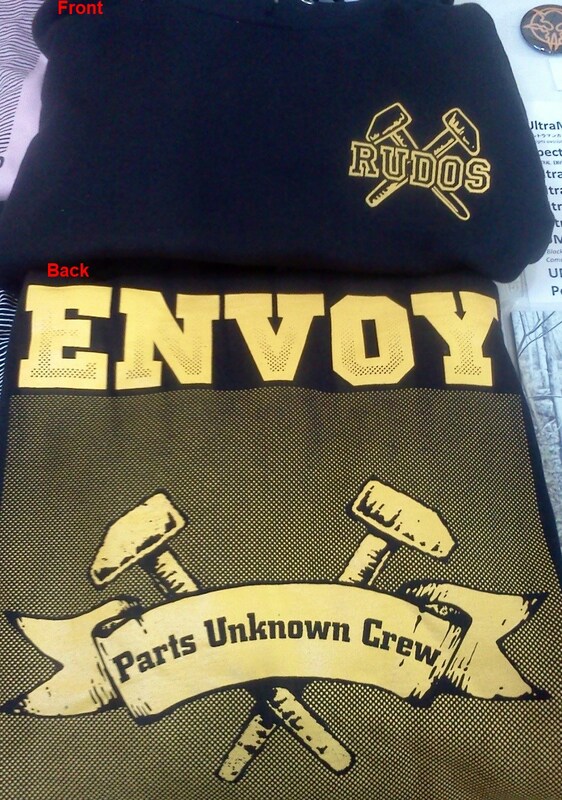 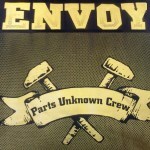 "Parts Unknown Crew" HOODED SWEATSHIRT 3rd pressing of 50 - golden yellow ink on street black hoodie DOUBLE-SIDED! 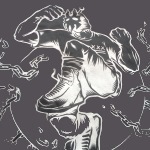 "Break the Chain" TANK TOP 1nd pressing of 50 - white ink on metal grey shirt DOUBLE-SIDED! 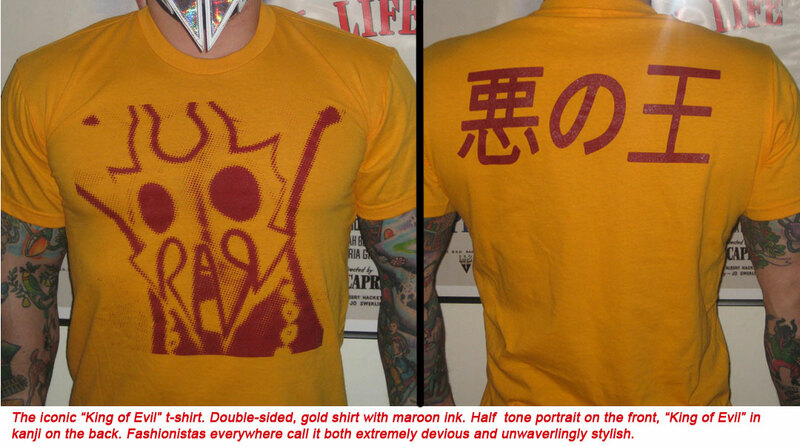 Same as the Tee, but in TANK TOP form! 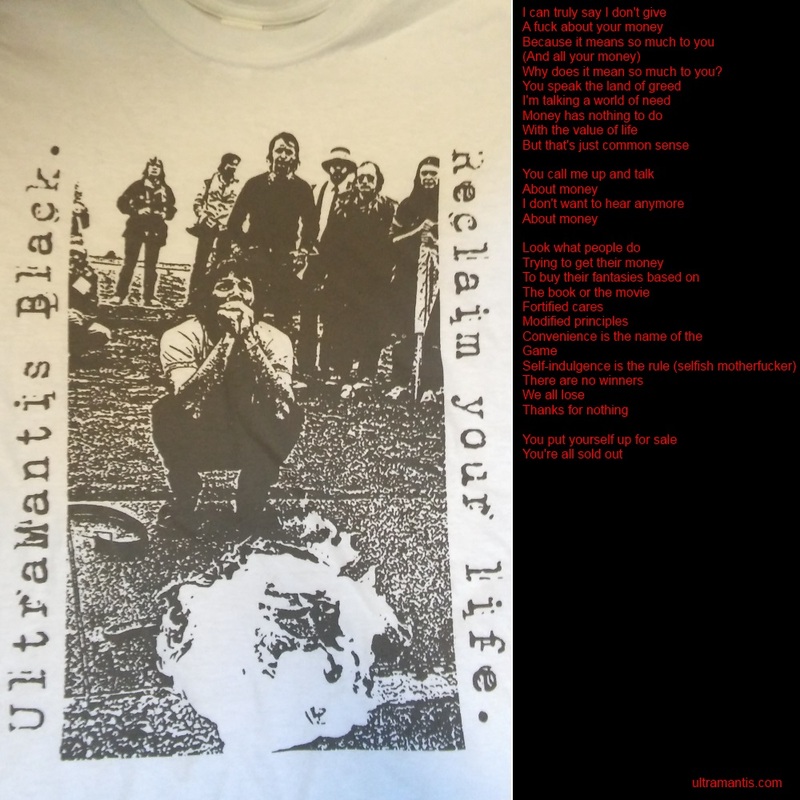 "Break the Chain / No Man's Slave" T-Shirt 2nd pressing of 100 - white ink on metal grey shirt DOUBLE-SIDED! 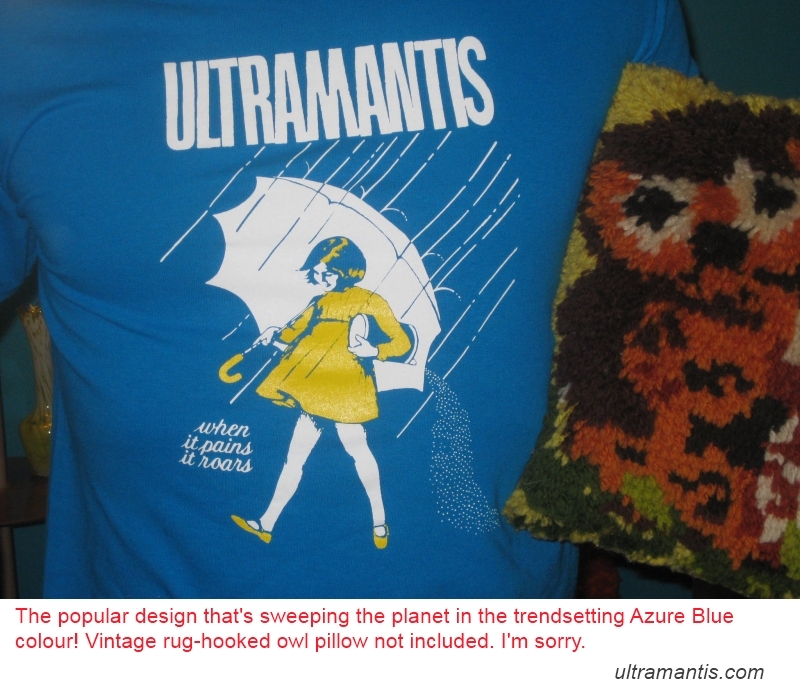 "Dear You" AZURE BLUE T-Shirt (KIDS SIZES) 1st pressing of 100 - azure blue shirt w/ soymilk white + lemony ink. 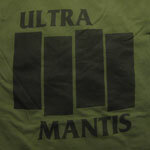 For smaller folk. 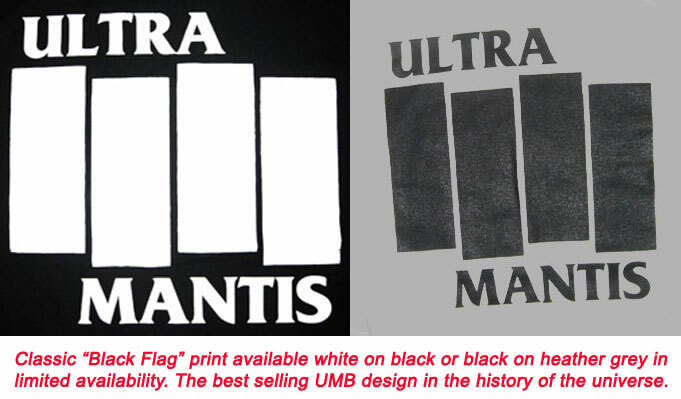 2nd pressing of 100 in blackest black w/ pure white + Envoy orange ink. 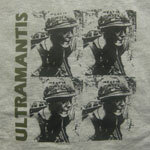 2nd pressing of 100 in morton blue w/ sugar white + lemon ink. 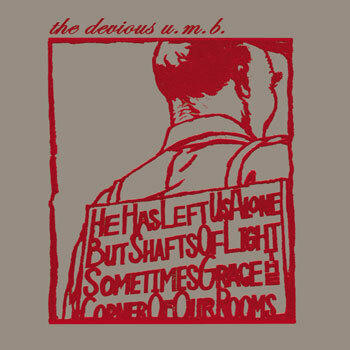 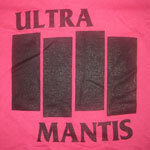 4th pressing of 100 in cranberry w/ sugar white + lemon ink. 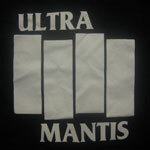 2st pressing of 100 in heather blue w/ off white ink. 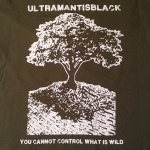 3rd pressing of 100 in jet black w/ snow white ink. 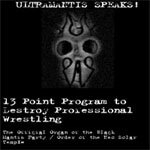 This 3 disc release features a 150+ minute interview and over 15 of UMB's best matches, plus bonus footage! 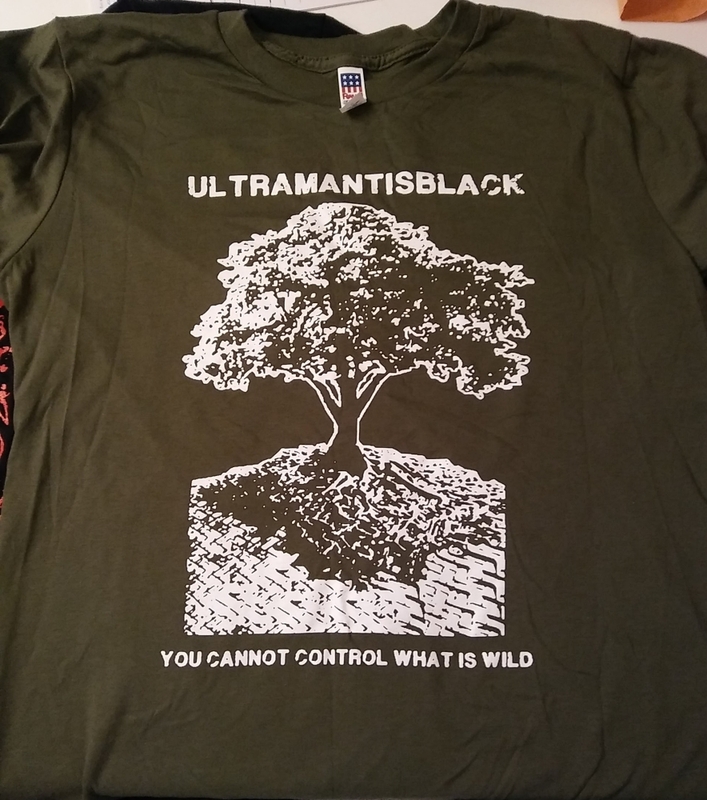 3rd pressing of 100 in grey w/ black + olive ink. 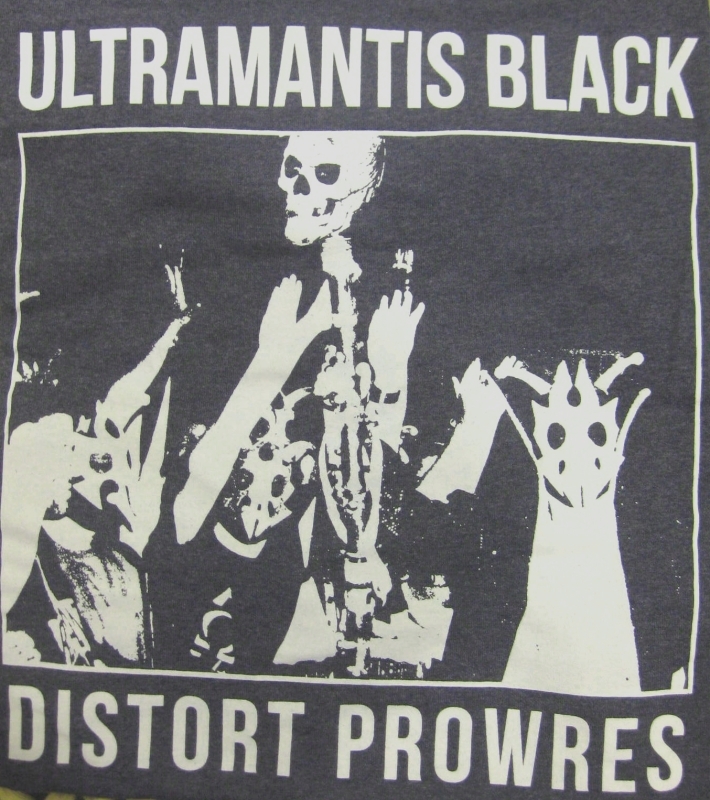 1st pressing of 100 + 2nd press of 200 in black w/ orange, silver, & white ink. 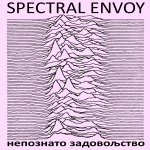 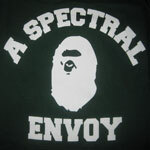 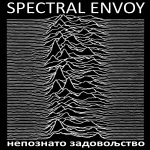 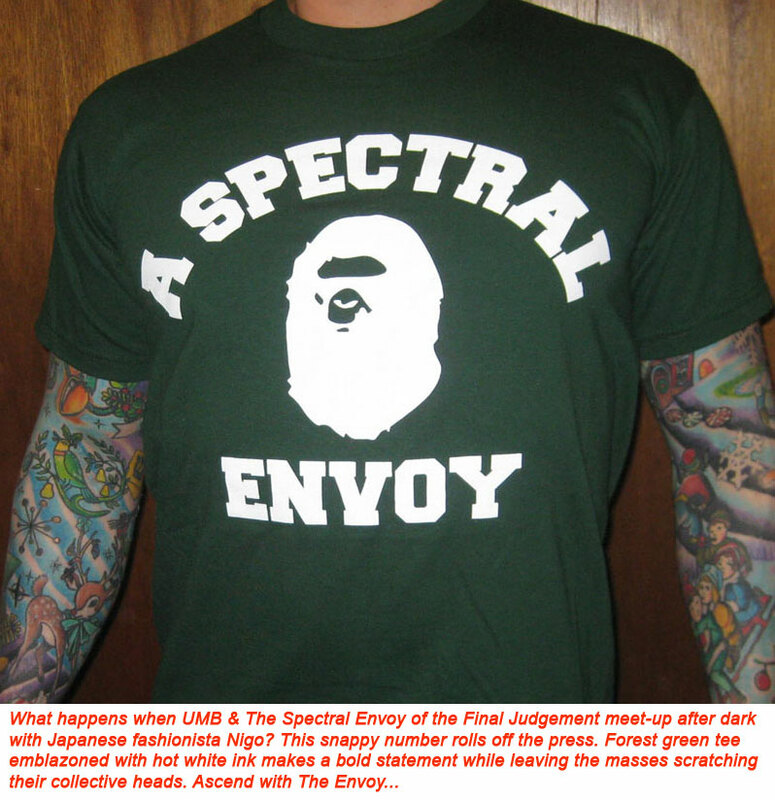 Spectral Envoy "A Spectral Envoy in Lukewarm Water"
1st pressing of 100 in forest green w/ white ink. 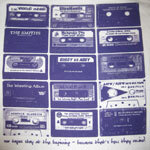 1st pressing of 100 + 2nd press of 200 in white w/ purple ink. 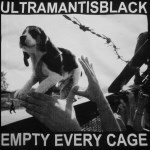 BLACK 1st pressing of 100 + 2nd press of 100 in black w/ grey ink. 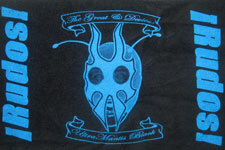 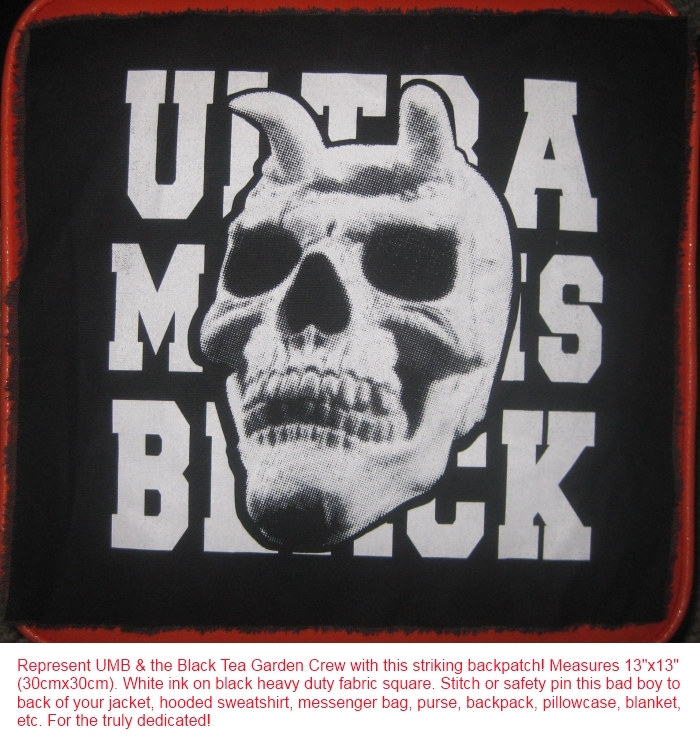 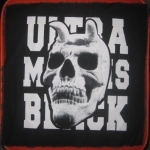 UltraMantis Official Tenugui / Rally Towel of the Rudos 1st press of 50 in hot pink on black. 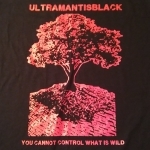 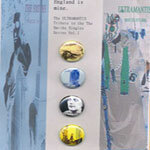 2nd & 3rd press of 50 in azure blue on black. 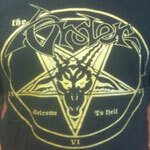 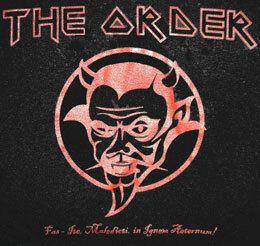 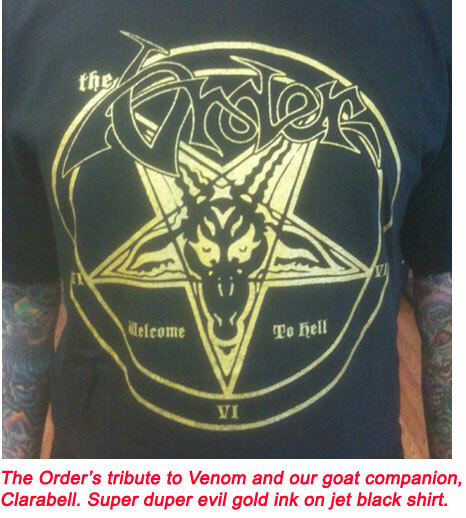 The Order "Welcome to Hell" T-Shirt 1st pressing of 50. 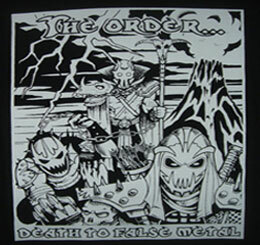 2nd pressing of 100. 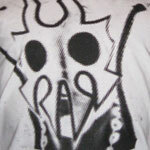 Souviner Mask 1st pressing of 50. 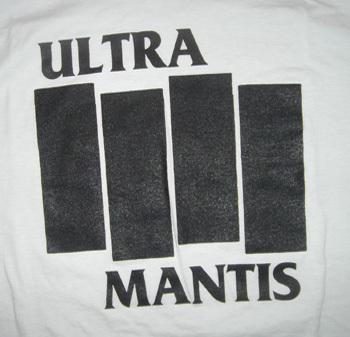 2nd pressing of 50. 3rd pressing of 50. 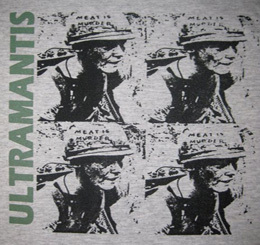 011 The Order "The Hallowe'en Cauldron"
002 UltraMantis "Meat is Murder" T-Shirt 1st pressing of 100 in grey (50) and white (50). 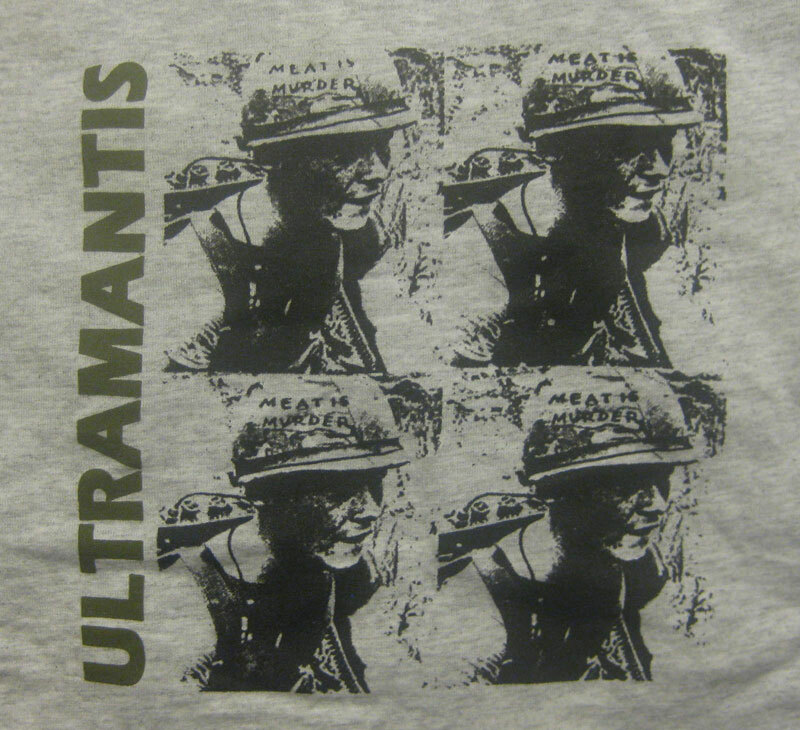 2nd pressing of 100 (50 in each color).